AFTER 55 YEARS………REUNITED WITH MY LONG LOST FAMILY. 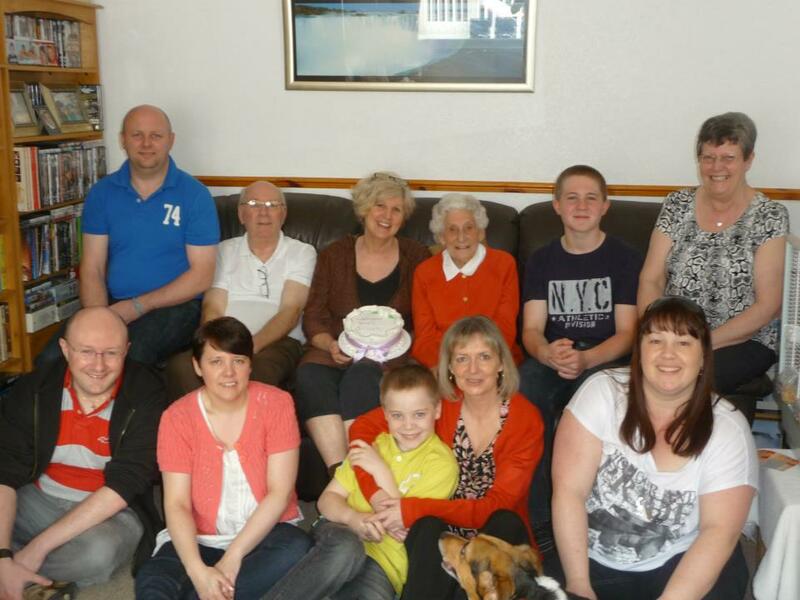 ‘Welcome back Gillian’ cake and all……..From back left….Jason (Cousin Mick’s Son), my cousin Mick, me (Gilly), my Auntie Lil (my mum’s sister), cousin Mick’s eldest grandson Bailey, Angie (Mick’s wife). From front left………Neil (Mick’s daughter’s boyfriend) Lorraine (Mick’s daughter) George (Mick’s youngest grandson), My cousin Di and Charlotte (Jason’s wife). 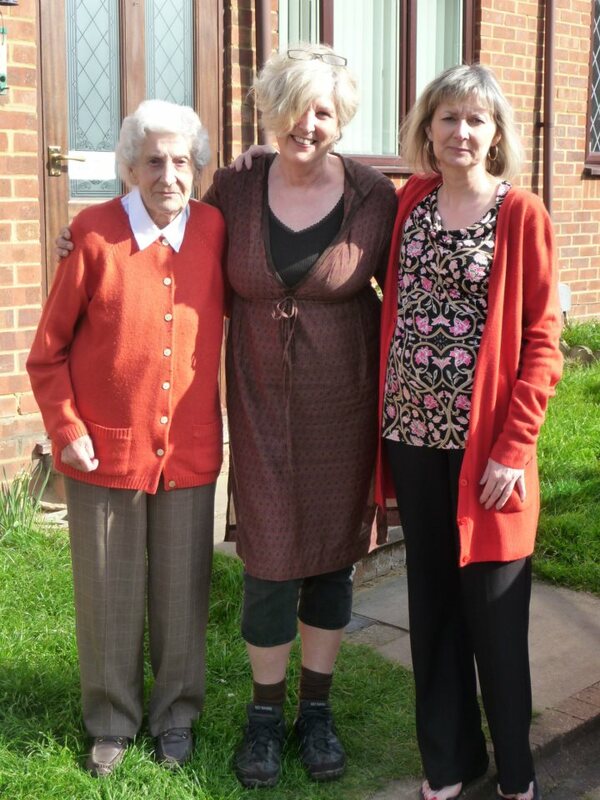 My mum’s sister, Lillian……My long lost Auntie, found after 55 years alive and kicking, amazing! 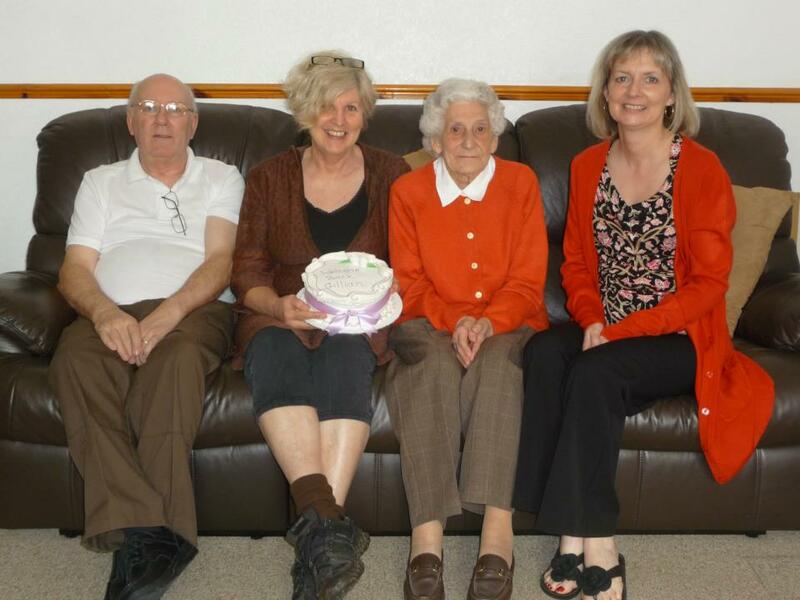 Happy to be with my Auntie Lil and my cousin Di……They don’t look as happy as me ha ha….They were though! Me and Mick, who feels more like a brother to me……I’ve adopted him. 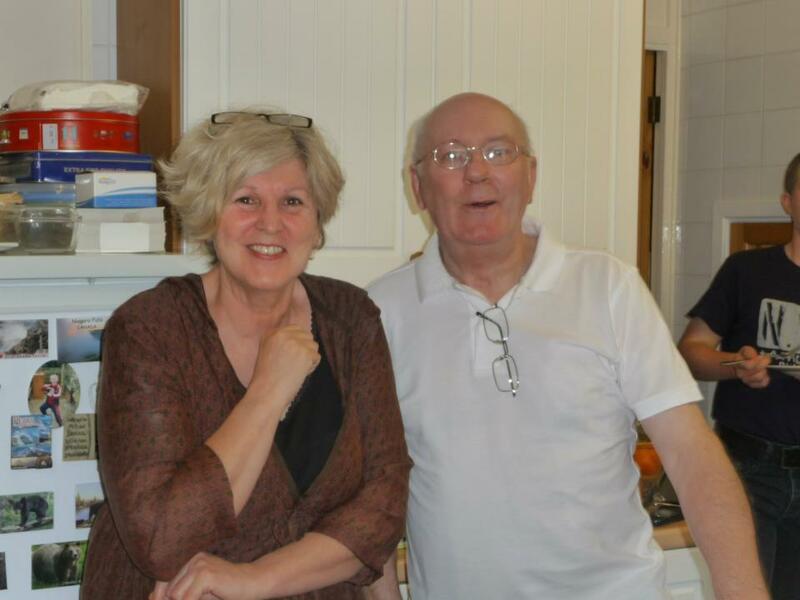 This is Mick and myself now……Reunited on 24th March 2012, after a life time apart……… 55 years! . 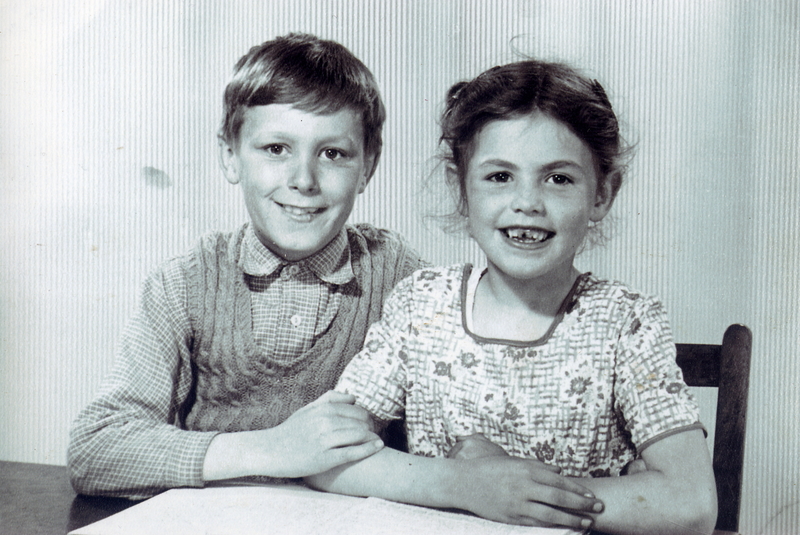 This is Mick and me (Gillian) around the time we were last together, probably 1958? 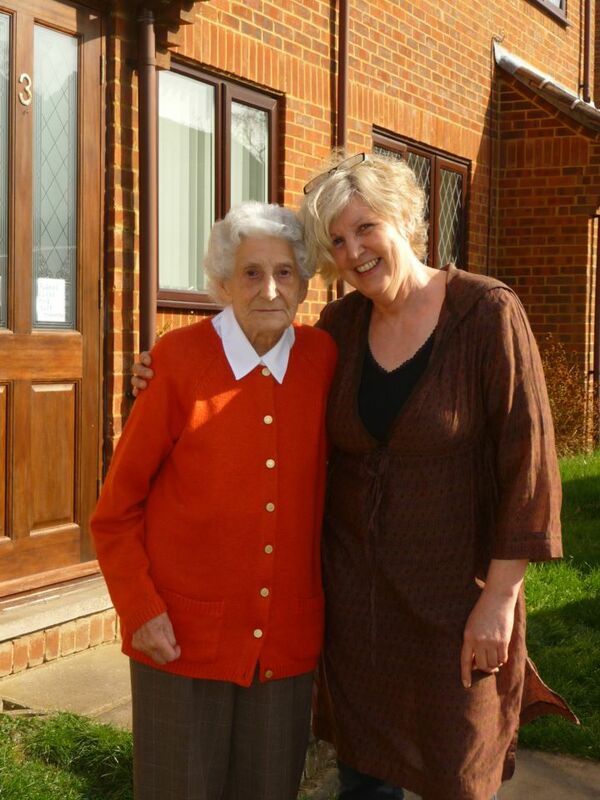 NEVER REUNITED WITH MY NAN…….SO SORRY. 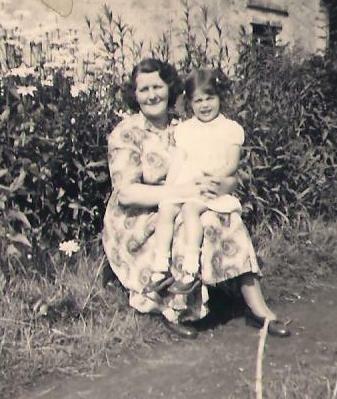 This is me with my grandmother, Nan Minnie May, this is who looked after me most, both when my mum died and before, because my mum worked. This is who l remember most and who suffered the most when l was snatched from her and put into care……l will never ever forgive my father for doing this to us……He broke her heart. My nan wanted to adopt me but my dad put me in a home instead, almost as if to deliberately break her heart, never stopping to think for one minute that he might be breaking mine, who does that?………….l was admitted into hospital in December 1957 for Acute Appendicitis, while l was there my father sneaked off and married my evil stepmother and she ruled! My stepmother tried to get me committed, she made up all kinds of nasty and offensive lies about me and threatened to walk out of the house if something wasn’t done about me, so was taken to the social services for investigation. I was declared ‘normal’ but they declared her pathologically jealous of me and they (the social workers) would not let me back into such a disturbed home and my father said there was no where else l could go, so she got her way and I was taken into care. HE brought that evil women into my life, I DIDN’T. He turned his back on me and all my dead mother’s family and his own family and lived to regret it. l will never forgive my father for lying and saying there was nowhere else for me to go……That was pure and simply a lie! He turned his back on me, so now l must turn my back on him. Hopefully I’m getting though it and the blog/book should help to get over these negative feelings and drive me on. l would like to spend more time on the positive, but the mysteries of the darker side seem to be dominating at the moment…..He went over to the dark side……Now this tale is turning from Cinderella to Star Wars !!!! This witch had such a power over him, but that was HIS weakness, it shows his heart was in the wrong place, in his groin, he was immoral, stupid, weak and worst of all disloyal to me and my mother’s memory….He failed us and this is unforgivable. The reason he didn’t come find me was he couldn’t face me, what possible excuse could he have…….l’m done with him…….Of course he called out my name on his death-bed, the guilt haunted him, sorry but l just feel he brought this all on himself….l’ll leave my sympathy to the poor children who suffer in the world through no fault of their own…….At the hands of adults. Ultimately He Was My Father. 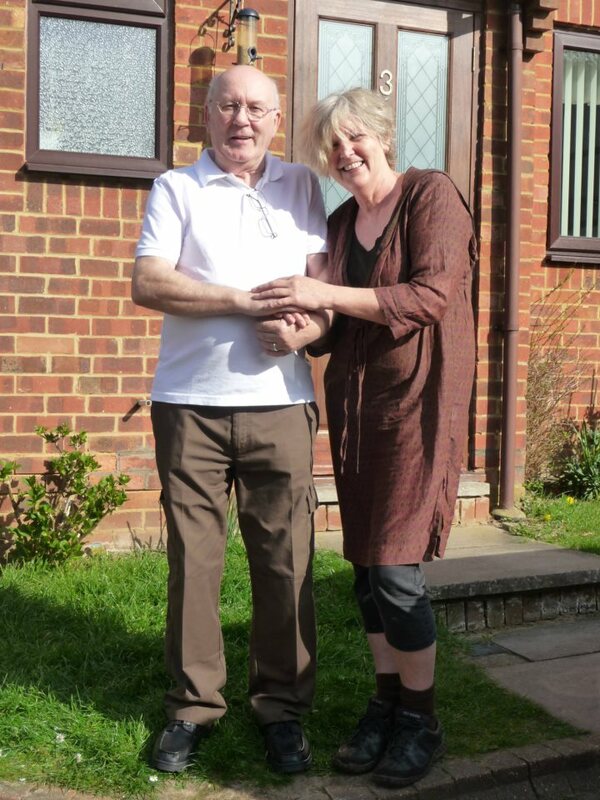 Filed under After 55 years Reunited !